You may remember back on April 14th we brought to you the first “Bronx Bomber Bulletin” stating it would become a weekly article. However, it has clearly been a long week since that last (and only) one was written but it is back! Although the team is struggling a bit, there are plenty of bright spots in addition to negatives where change is needed. With that, let’s take a look at where the Yankees stand right now. The team has faltered over the past 3 weeks going 6-12 over their last 18 games. There really isn’t much justification as to why the team has played so poorly other than there simply being far too many inconsistencies. Where the Yankees may have stellar starting pitching one day, the offense doesn’t show up, and vise-versa the next day. Injuries have been flaring up occasionally over the past two to three weeks which is pretty normal in a long season. It began with Chris Martin injuring his elbow (tendinitis) that has kept him out nearly all month. Chase Whitley went down next tearing his UCL against Tampa Bay May 14 which resulted in Tommy John Surgery and being shut down for the season. Then, Jacoby Ellsbury went down with a knee injury May 19 that should keep him out for about another month. Ellsbury’s replacement, Slade Heathcott played stellar baseball in the 6 games he appeared in hitting .353 with 1 HR, 3 RBIs and a .941 OPS before he suffered a grade 2 quad strain which will likely keep him out for a month as well. Starting pitching length has been a growing problem for the team as the starters just aren’t getting deep into ballgames. Michael Pineda averages 6.41 innings per start followed by CC Sabathia at 6.01 then Nathan Eovaldi at 5.71 Adam Warren at 5.58 innings per start. Masahiro Tanaka was only averaging 5.52 innings per start and Chris Capuano is only getting through 4.07 innings per start. The starting pitchers have to get deeper in games to reduce strain on the bullpen which will be beneficial to all. Masahiro Tanaka has started 2 games in AAA Scranton on a rehab assignment pitching to a 4.50 ERA in 6 innings. He is scheduled to return Wednesday, June 3 in Seattle. 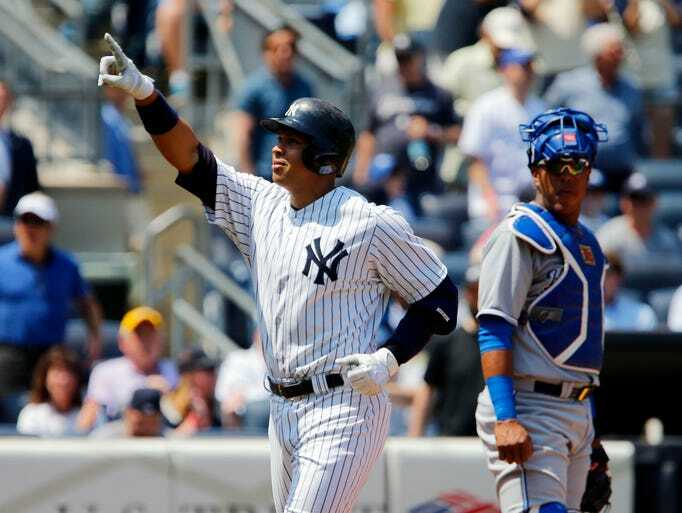 Alex Rodriguez is riding a nice 9 game hitting streak in which he’s raised his average to a modest .276. He’s collecting a lot of hits, flashing a little power (11 homeruns) and really playing well which may be surprising to some. Brian McCann is enjoying one of the best hot streaks from any catcher in franchise history. His streak of 4 straight games with a homerun was snapped last night in game 3 in Oakland but he’s still driven in a run in 8 games for the first time since the 1940s out of a Yankees catcher. His average is up to .255 and he’s showing the ability to hit the ball well on the road. Dellin Betances is the best right-handed relief pitcher in the major leagues. Don’t agree? That’s fine, but the numbers can’t lie. Betances has been unhittable with an ERA of 0.00 (ZERO POINT ZERO ZERO) and it’s May 31st! He’s thrown 27.1 innings this season, allowed 10 hits and 11 walks with 44 strikeouts. The irony is that he didn’t even have his best stuff until the past three weeks and since then he’s seldom allowed a hit. Unfortunately, Andrew Miller has allowed an earned run – two to be exact – but his ERA still sits at an outstanding 0.81 as he is 15 for 15 on save opportunities. He’s also been dominant as he’s the best left-handed relief pitcher in the MLB. Miller has pitched 22.1 innings allowing 5 hits (1 HR) while striking out 35 with 9 walks. Chasen Shreve has quickly become a guy who is becoming a reliable arm out of the bullpen. As the third best pitcher in the Yankees bullpen (flip a coin to determine whether Miller or Betances is the best), Shreve’s ERA sits at 2.61 as he’s struck out 23 with 6 walks. In desperate need for another guy to count on outside of Miller and Betances, Shreve appears to be the man for the job. David Carpenter and Justin Wilson have been incredibly bad out of the bullpen. As guys that brought lots of optimism to the pen, they have been sheer disappointments. Carpenter has been shelled all month with an ERA at 5.00 in 18 innings while Wilson’s ERA is 5.17 in 15.2 innings. Jacob Lindgren has been called up to help pick up the slack out of the bullpen as Esmil Rogers hasn’t been great either with an ERA at 4.70 in 30.2 innings pitched. The two lefties in the starting rotation, CC Sabathia and Chris Capuano have been pitiful this season. While CC has had a few positive outings, Capuano has yet to record a quality start in 3 starts as he hasn’t gone deep at all and has lost all 3 outings. Capuano has lasted just 12.2 innings with an ERA of 6.39 in his 3 starts. With eyes on an Ivan Nova and Tanaka return, Capuano’s job may be in jeopardy sooner than we expected. Sabathia is an interesting case as he’s such a big name and big guy with a big contract. Sabathia is 2-7 with a 5.67 ERA in 10 starts with just 4 of them being quality starts. If CC doesn’t get it together, the Yankees may force him out of the rotation at some point. On the flipside, Michael Pineda is arguably the ace of the staff with a 6-2 record and a 3.36 ERA (3.00 in May). What’s even more impressive is his video game statistic of 67 strikeouts to only 5 walks. That’s 13.4 strikeouts per walk (on pace to set the all-time record) which puts Pineda way in front of the next closest guy who is Bartolo Colon at 10.4. Pineda has stayed healthy and has been one of the few starters to consistently get into the 7th inning of his starts. With a healthy Tanaka and Pineda, there aren’t many better 1-2 punches in any rotation in baseball. To put in in Michael Kay terms, Michael Pineda is on fleek since becoming a Yankee. Stephen Drew has been absolutely dreadful as we’ve ranted about on our twitter. Drew’s batting average is down to .158 as he is 1 for his last 27 including 0 for his last 20. Most Yankee fans gave him a fair shot with a full spring training but he’s been even worse this season then he was last year. He’s hitting just .154 in 293 at bats with the Yankees from last year to this year. With Rob Refsnyder hitting .286 in AAA, the hope is that the Yankees sacrifice Drew’s mediocre defense and horrible offense for Refsnyder’s above average offense and poor defense soon. My personal hope is that Drew is subject to DFA by next Sunday when we write this next Bronx Bomber Bulletin. After hitting .162 in April with no homeruns and 7 RBIs, Carlos Beltran is now hitting .245 coming off a recently snapped 15-game hitting streak. He’s hit 4 home runs this month with 14 RBIs with a batting average north of .300. 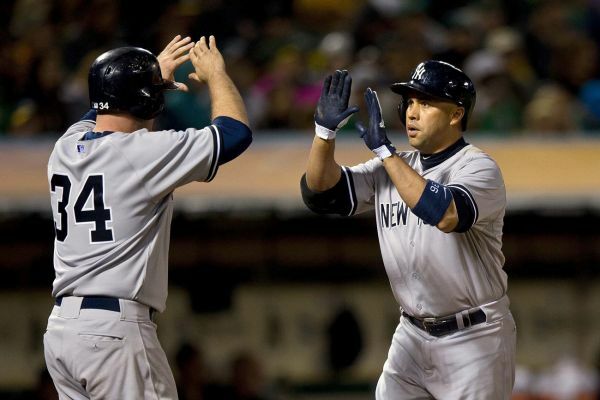 As Beltran is getting hot in addition to A-Rod, McCann and Headley, the offense is becoming a force. Once they get rid of Drew who is an automatic out, the lineup will improve even more. That’s the basic gist of the state of the Yankees right now. There a lot of positives particularly on the offensive side with a few negatives including part of the bullpen and injuries. I don’t have any doubt that when the bullpen pitches to its potential and players come back from injury, the team will enjoy a lot of success as they currently sit at 26-24 and hold first place in the AL East all by themselves. Follow the @BronxBomberBlog for more Yankees news, updates, analysis, humor, live tweets, MiLB news and all things Yankees!